Has teen programming been missing from our community? According to the teens participating in the Boulder Jewish Teen Initiative, the tides have shifted! Our teens are feeling empowered, want to see what being a Jewish teen can mean, and be seen as valuable members of that community. Today’s teenagers are looking to reclaim their place in the world, and are willing to work for it. 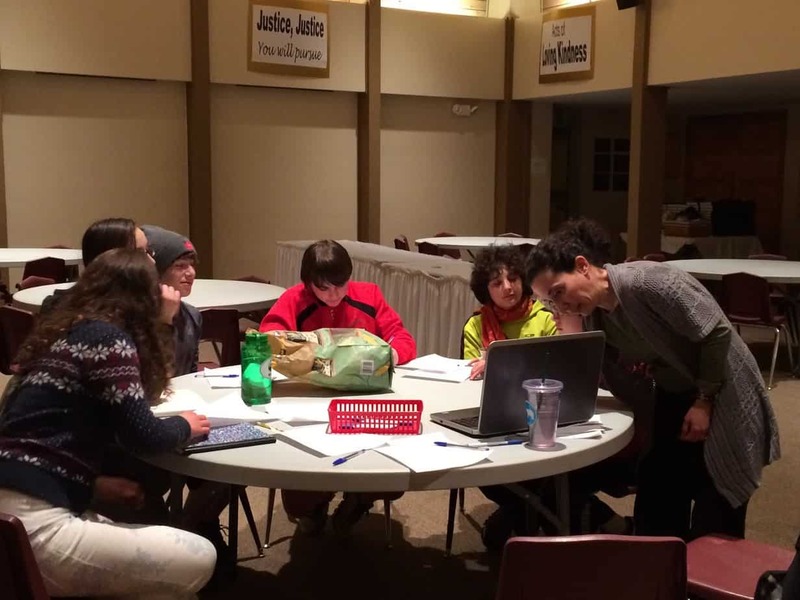 This past week marked the official launch of the Boulder Jewish Teen Initiative, a collaboration of the local area synagogues, the Boulder JCC, and Jewish Student Connection. A one-stop shop for Jewish teens in Boulder County, we aim to provide opportunities for teens to connect, learn, and grow together in a relaxed environment, while having a ton of fun! Do you want to be a part of the revolution for Jewish teen life in Boulder? Join in the fun and get involved! BJTI is offering several programs during our pilot season, including ongoing classes and one-off events. Our two ongoing classes are “Be the Change You Want To See In The World,” with Charna Rosenholtz, and “World Religions: Uncovering, Discovering, and Recovering our Connection,” with Amy Atkins. Each class meets for 5 sessions, on Wednesday evenings at Congregation Har HaShem. Our one-off service learning projects will be held on the first Wednesday of the month. “First-Service Wednesdays” are fun, informative, and open to everyone without any further commitment. This Wednesday, March 5, we’ll be cooking breakfast for dinner, donating some food to BoHo, and learning about issues surrounding the homeless population. For more information or to sign up for any of these classes or events, visit the Boulder Jewish Teen Initiative Website! If you have any questions about any of these questions, feel free to contact Katherine Schwartz (ks@harhashem.org) or Michael Rosenzweig (Michael@boulderjcc.org).